The Panama City Beach Chamber of Commerce will host a Half-Marathon, 5K and Kid’s Fun RunSet on Saturday, December 1st, 2018. Run through paradise alongside our award-winning beaches! Online Registration will close November 29th at 11pm. 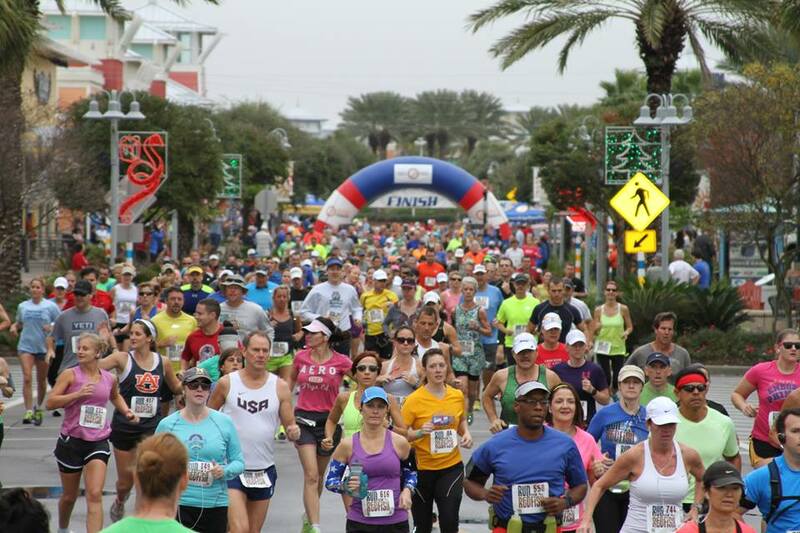 The race is a staple for the community and attracts hundreds of both residents and visitors to Panama City Beach. 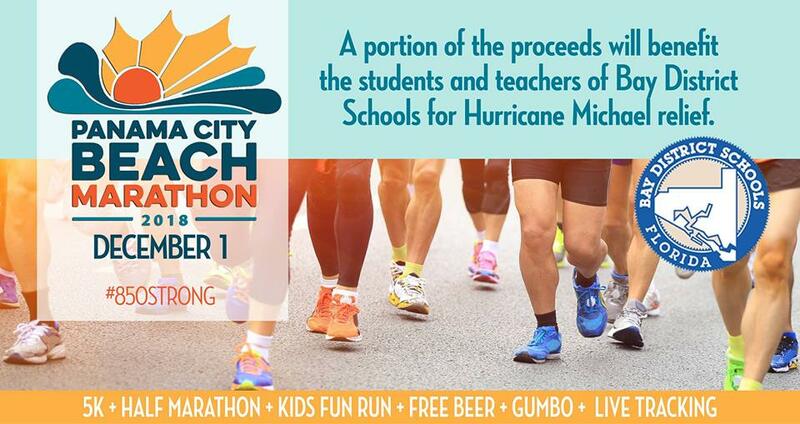 This year’s race will benefit Hurricane Michael relief efforts with a portion of the proceeds being donated to Bay District Schools. Due to damage on the course caused by the storm, the full marathon portion of the race has been cancelled. Out of town runners may also participate in a virtual race to support both the race and the Bay County community’s recovery from Hurricane Michael. Registration is available on Active.com and proceeds will go directly to hurricane relief. The race begins and ends in Pier Park, with an after party at Jimmy Buffett’s Margaritaville. All runners of the Half-Marathon and 5K will receive a long sleeve shirt, and all finishers will receive a medal. The certified course is a 2020 Boston Marathon Qualifier, and the race is professionally timed. Start/Finish Line is located just a few yards north of Margaritaville on Pier Park Drive in front of As Seen On TV. Look for Start/Finish Line Arch and listen for DJ Markie Mark. There is no fee to participate. We encourage all children (and parents, if needed!) under the age of 10 to participate. Each runner will receive a finisher’s ribbon. Racing area will be north of start/finish line.